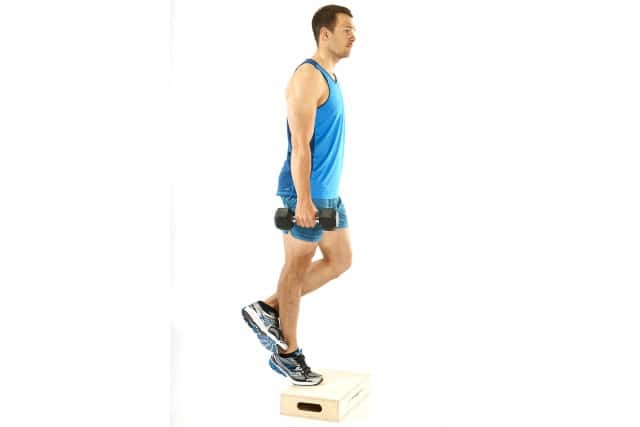 This simple strength plan will keep your shins, calves, and Achilles healthy. You love running. And when your sport of choice involves the great outdoors, fresh air, and cruisin’ down the road, you don’t want to be stuck inside doing strength exercises. Running can create muscle imbalances or accentuate ones you already have. Weak calves, for example, can put too much stress on the Achilles and break down the fibres that make up the tendon. Instable hip and core muscles hurt your biomechanics and overload your shins, which can lead to shin splints and stress fractures. 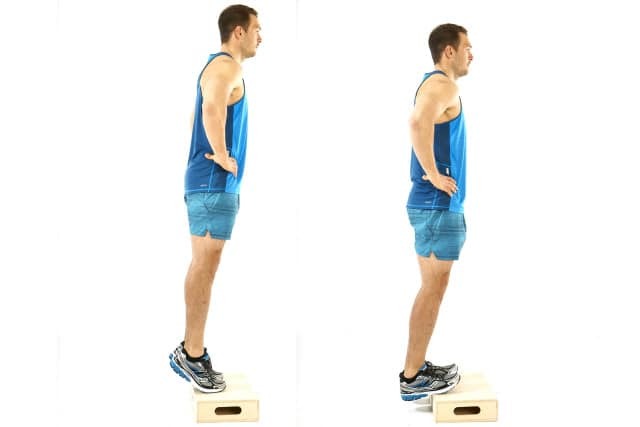 Do these exercises twice a week – daily if you have had shin, calf, or Achilles issues in the past. 15 reps on each side. 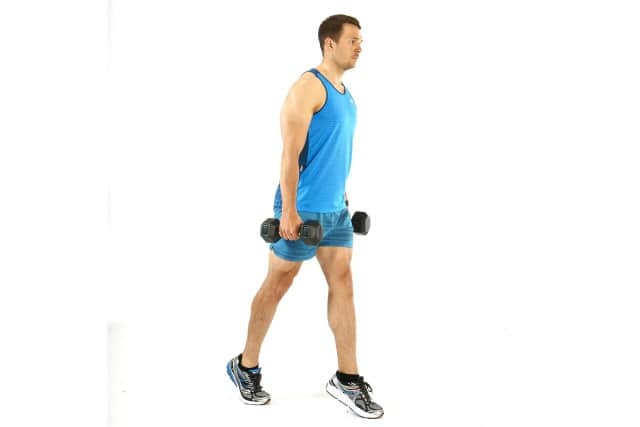 Hold heavy dumbbells at your sides. Rise up on your toes and walk forward for 60 seconds. If you feel that you could’ve gone longer than 60 seconds, increase the weight. Do three sets.